A Toronto woman who helped save the life of a man in cardiac arrest at a west-end gym says a staff member and bystanders did nothing to intervene, even though GoodLife Fitness says employees are trained in CPR and the use of defibrillators. A Toronto woman who helped save the life of a man in cardiac arrest at a west-end gym says a staff member and bystanders did not intervene, even though GoodLife Fitness says employees are trained in CPR and the use of defibrillators. Alex Jade, 29, was working out at a GoodLife Fitness club near Bloor Street West and Islington Avenue on Jan. 13 when she noticed a staff member carrying a defibrillator and casually walking over to a man lying on the gym floor. "He was on the ground, face blue, his eyes rolled back," said Jade about the man on the floor. "The staff member put down the defibrillator and took a few steps back — didn't even turn it on." Jade was trained in cardiopulmonary resuscitation before becoming a flight attendant. She's also an actress who recently returned from the Sundance Film Festival and has starred in two movies. She said she knew that someone can suffer permanent brain damage after just four minutes without oxygen, so she quickly turned on the defibrillator, attached the electrodes and administered a shock. Jade began chest compressions for about 10 minutes until paramedics arrived. Jaroslaw Zabrzycki, 51, said he would have died if Jade hadn't jumped in. "I'm very grateful ... oh my God," he told CBC Toronto. "If she wasn't there ... I don't even want to think about it." Zabrzycki was taken to hospital, where he underwent surgery for two blocked arteries. The angioplasty involved inserting stents into the arteries to improve blood flow to the heart. He doesn't remember what happened — just that he was at the gym, then woke up in hospital. He is now recovering at home, but didn't know he had a heart condition until the gym incident. "Had I known, I would never have gone there at a time when no one was there," said Zabrzycki, who would sometimes go to the gym late. He remembers arriving after 10 p.m. that day. "Many times there's no staff there. They just leave the towels at the front desk and you have your pass and you go in, so this is very dangerous,"
Jade said she remembered at least one staff member was there, but questioned whether he was properly trained and why other bystanders didn't step in. "It scares me because that could have been my father, that could have been a loved one, and the thought of people doing nothing, just staring, makes me really uneasy," she said. 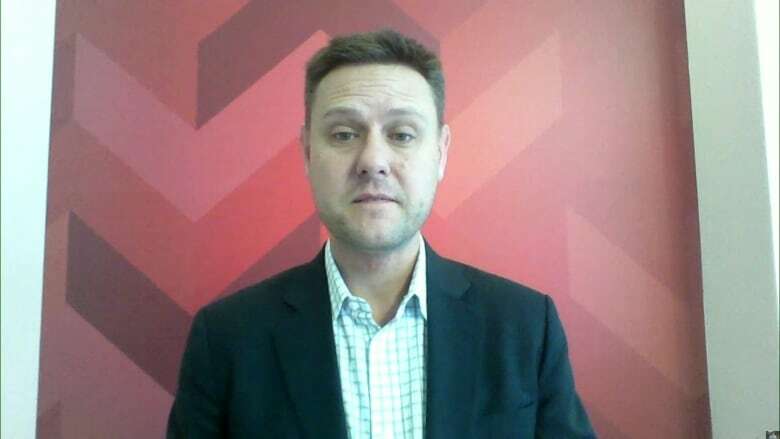 Brad Lindsay, manager of critical response for GoodLife Fitness, said a full investigation is underway, but that all staff across the chain are required to be CPR-C certified, which includes training with automated external defibrillators (AEDs). 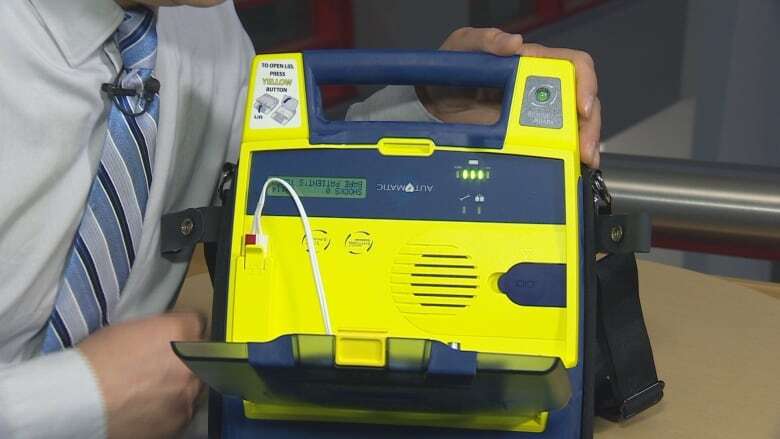 "More people should be trained in this life-saving skill so more people can take the action that [Jade] did on that day," said Lindsay, who added that defibrillators are clearly marked and publicly accessible. "In many recreational facilities and definitely all our clubs, they are all available. They are not tucked away," he said. Early CPR and defibrillation can increase the chance of survival by 75 per cent or greater. However, a Canadian Journal of Emergency Medicine survey indicated that less than half of respondents felt comfortable using one. "She stepped up ... she was a hero," said Lindsay. Jade questions why the staff member, if that person was trained and then retrained every year, didn't step in to help. "Why did the training not kick in? If the staff member was in shock, where was his team to help him out and save a life at GoodLife?" She also said GoodLife did not follow up with her until she posted on Facebook what happened at the gym. Lindsay said although the incident was brought to his attention immediately, he didn't know Jade was so traumatized that she hasn't returned to GoodLife. "We are hoping we can get her back to where she is comfortable coming back to GoodLife or any club." As for Jade, she will meet the man she saved and members of his family in person in a few weeks. "They're talking to me like I'm family and that just melts my heart," Jade said. "I feel like I have a second family now."